A perfect gift for your loved one on Valentines day, an anniversary or any special day; this beautiful little heart adds a spark of color to any room. Place it on a window sill and watch it capture and reflect the light. This piece can also be engraved to be given as an award or recognition. Handmade in the USA. Not for microwave, dishwasher safe. 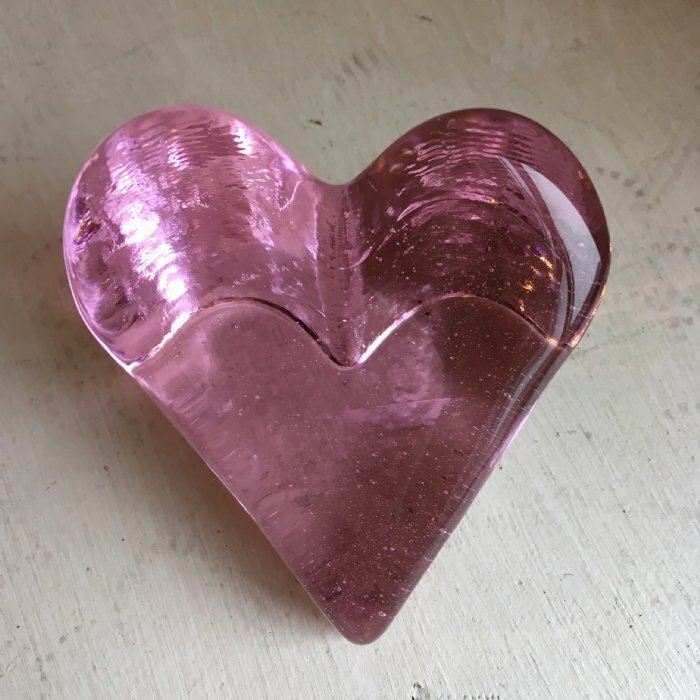 We have 2 small pink hearts in stock.